When you book an Ultimate Theme Party Package you're not just getting decorations...oh no no. We're going to provide the atmosphere, entertainment, and activities! No more stressing about what to do, or how to make it fit your theme. We've got it covered, with several unique experiences listed below. 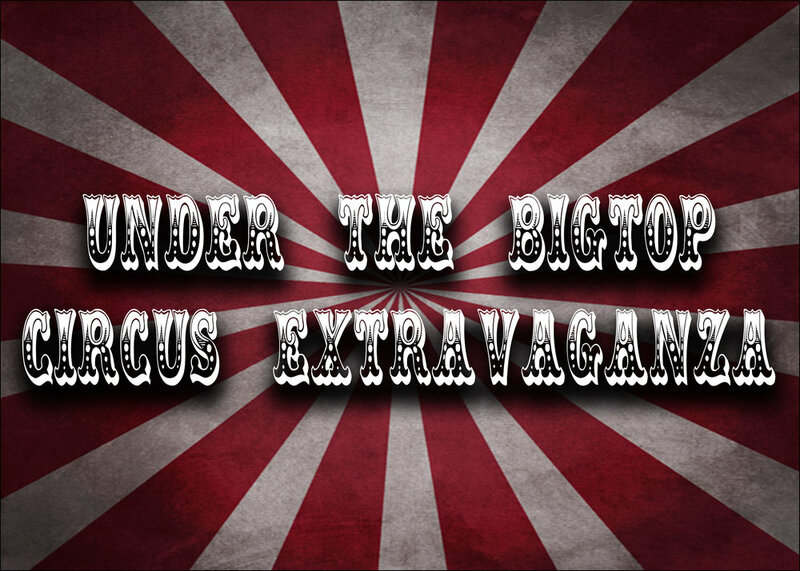 This 3 hour event brings the big top straight to your event! Live animals, a hands on circus experience, and a show staring your guests make this package an unforgettable experience! This package is designed for parties with up to 20 children. If more than 20 children, please call us for additonal information. Circus tent (Grass Only) to house games. Ponies and petting zoo will entertain your guests for the 1st hour of the event. At the same time the big top will go up and equipment will be prepared. After 45 minutes of hands on learning, they will make their way into wardrobe and face-paint. It's time for Dress Rehearsal! The participants will choose one skill they learned earlier in the day and form a routine with that act to be part of the show for the adults! Show time! Show is approximately 30 minutes long with your children as the stars! Step right up and join the fun! This package has everything you need to create a thrilling carnival atmosphere to your next party or event. This package comes with an amazing ensemble of rides and fun for the whole family, and whether children are big or small they will appreciate this awesome display of fun.